Although their campaign has concluded, if you would still like to make a donation to support Engineers for a Sustainable World, you may always do so here. We are Engineers for a Sustainable World – Pitt and we need your help to get to the national conference at Georgia Tech! 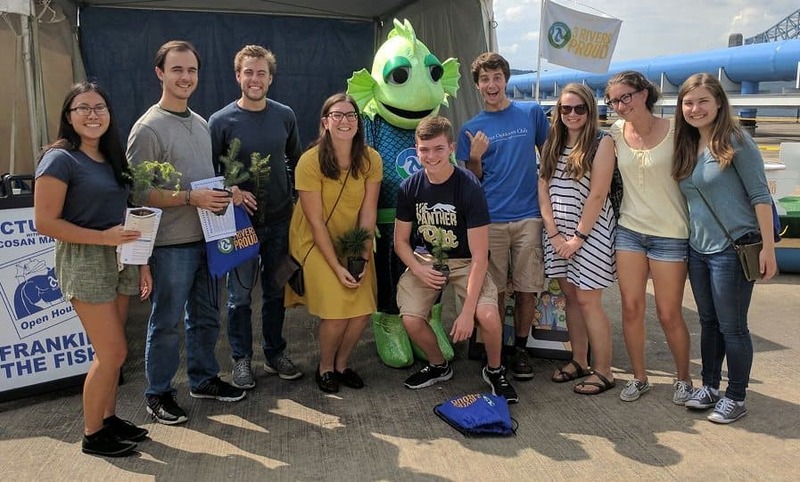 The Engineers for a Sustainable World – Pitt Chapter (ESW) is comprised of engineering majors of all disciplines and non-engineering majors with an interest in sustainability. Our mission is to develop and design sustainability solutions for our campus, region, and world. With our National Chapter status, we are fortunate enough to be in constant communication with other collegiate chapters and are hoping to continue connecting with them by raising $1,000 and sending eleven students to the national ESW conference in Atlanta, Georgia. The national conference provides us with a wealth of information, access to keynote speakers, and the latest initiatives that we are then able to bring back to the Pitt campus to enhance both our organization and the University as a whole. We are hoping that our willingness to learn and grow as an organization inspires you to help support our trip there! It is up to us to raise the additional $1,000 we need to get to the conference and YOU can help us get there. Please, consider making a tax-deductible donation to our club and help us ultimately help you. We are incredibly grateful to have the opportunity to meet with fellow sustainably-minded individuals looking to make an impact in the world and hope that you will consider supporting Engineers for a Sustainable World – University of Pittsburgh Chapter. With your support, we know that we can reach our $1,000 goal. ESW Members with our Solar Panel Cart! 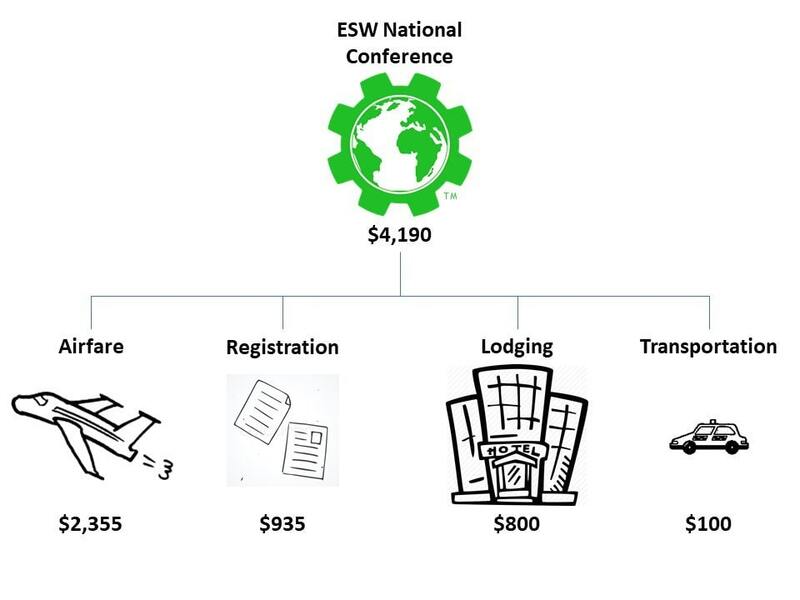 In past years, our ESW group has traveled to almost every national ESW conference. From these experiences, we have been able to bring back awesome ideas and incorporate them into our own projects! 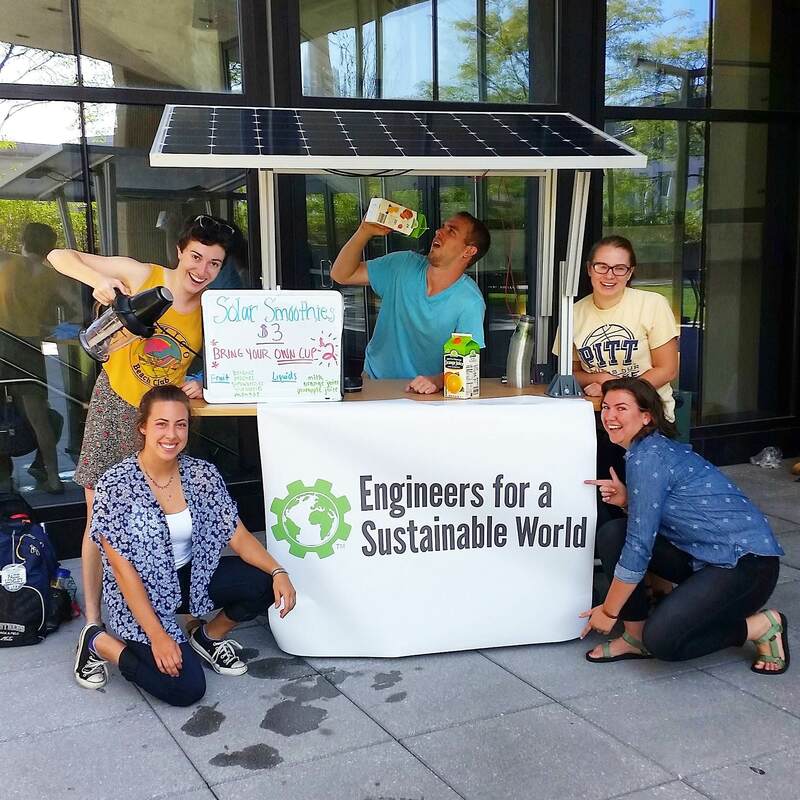 A couple of our favorite projects include but are not limited to: the Solar Panel Cart (which is typically used for making smoothies for fellow engineering students) and the construction of Rain Gardens in the Pittsburgh area. Both of these ideas have had some inspiration from a conference and we cannot wait to see what this year's conference has in store for us. We’re trying to send eleven members to conference and you could send eleven dollars to us! Thank you! A donation at this level will help half of us travel from the airport to our lodging! Thank you! A donation at this level would help all eleven of us get from the airport to our lodging! Thank you for helping us not leave anybody behind. A donation at this level will pay for one of our members to be registered to go to conference. Thank you for giving a member the opportunity to learn how to better our community sustainably. A donation at this level will pay for all of us to travel from the airport to our lodging and then back at the end of the conference. That’s awesome, thank you! A donation at this level will pay for the price of not one but two members to be registered to go to conference. It’s like two birds with one stone, but so much safer. Thank you! A donation at this level will help us get to one-fifth of our $1,000 goal. Wouldn’t it be cool to send us one-fifth of the way there? Thank you!